Ten years ago, the nation and the world were horrified by the catastrophic loss of life and property in the wake of Hurricane Katrina. The human toll was devastating. But so was the toll on thousands of companion animals throughout the Gulf coast. An estimated 250,000 dogs and cats were displaced or died as a result of the storm. Animal rescue groups rushed to the scene and committed themselves to the daunting challenge of saving as many lives as they could. The ASPCA worked closely with the Louisiana SPCA and the Humane Society of South Mississippi, sending dedicated staff to work on the ground for two years and contributing $13 million in grants for rescue, reunification and sheltering efforts. In collaboration with our partners, we helped reunite more than a thousand pets with their owners, and helped transport over 7,500 homeless and displaced animals to the Lamar-Dixon Exposition Center in Gonzales, Louisiana, which had been dedicated to their care. Despite weeks of round-the-clock work from responders and volunteers, flaws in the process kept us from being even more effective. It became obvious that new organizational approaches and legal fixes were necessary to get ahead of the next major calamity, and—true to form—we didn’t delay. Less than a year after the storm, two groups were formed with formal support and participation from the ASPCA: the National Animal Rescue and Sheltering Coalition (NARSC) and the National Alliance of State Animal and Agricultural Emergency Programs (NASAAEP). These coalitions are dedicated to enhancing communications between animal welfare organizations, state agencies, and volunteers during emergencies. They also conduct in-depth trainings around the country on topics including flood and fire rescue, pet first aid, proper animal handling, decontamination and animal sheltering and assessment. On the federal legislative side, two Acts passed by Congress—the Pet Evacuation and Transportation Standards (PETS) Act and the Post-Katrina Emergency Management Reform Act—added pets to existing federal guidelines for disaster planning, and designated FEMA as the lead agency for pets in federally declared disasters. These laws not only save lives, but elevate the issue of animal safety to its rightful place among other natural disaster priorities. Another measure only recently proposed, the Animal Emergency Planning Act, would require businesses that house pets—including pet breeders, research facilities, zoos, animal carriers and animal handlers—to develop detailed contingency plans for animal care in cases of emergency. These businesses profit or benefit from animals; it only make sense that they take full responsibility for the animals’ safety. Important legislative work is also happening at the state level. If you live in California, I urge you to join us and the American Red Cross in supporting AB 317, which will facilitate the establishment of vital emergency shelters in the event of a state emergency. We’re collaborating with the Red Cross to also find ways of co-locating animal and human shelters to help keep families and their pets together during severe crises. AB 317 faces a critical final vote in the Senate next week before heading to Governor Brown's desk for his consideration. 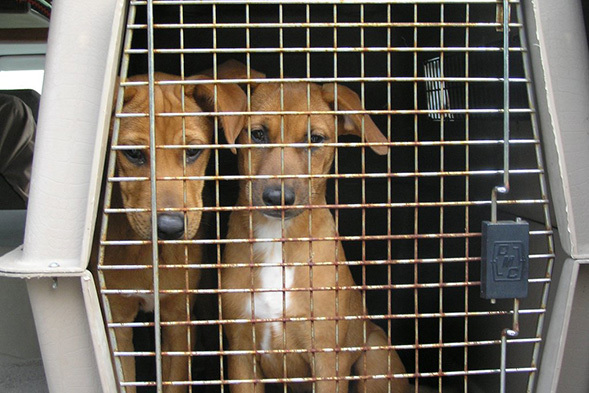 Setting up animal shelters quickly is crucial. 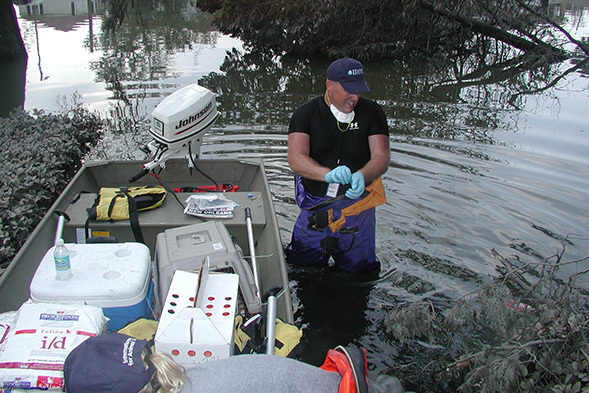 During Katrina, many of the existing Louisiana shelters were flooded, making emergency facilities the only available shelters across four parishes. In New York, lawmakers recently passed a bill that will enable veterinarians to cross state lines to respond to pets in disasters and other crises. Because these unexpected events can often overwhelm local agencies, it’s vital to facilitate the quick arrival of out-of-state veterinarians who specialize in shelter medicine, forensic sciences, and emergency response protocol. This bill is currently awaiting Governor Cuomo’s signature. Of course, the biggest responsibility for keeping pets safe and alive during disasters belongs to their owners. When owners don’t take necessary precautions, it puts both them and their animals in danger. 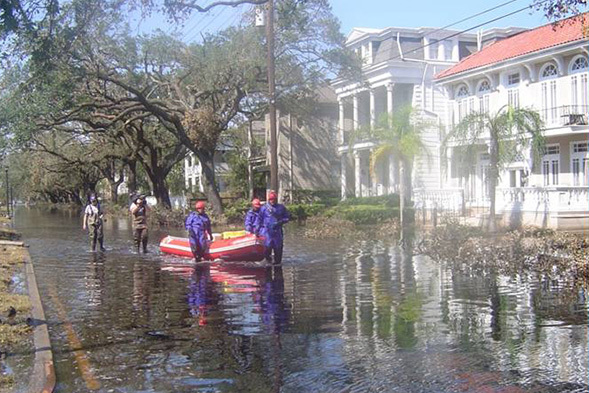 According to a Fritz Institute poll, 44 percent of New Orleans residents delayed or chose not to evacuate the city during Hurricane Katrina because they refused to leave their pets behind. A similar nationwide poll by Lake Research Partners on behalf of the ASPCA found 42 percent of Americans would also not evacuate without their pets. Micro-chip your pets and make sure they wear collars and ID tags with up-to-date contact information. Keep current photos of your pets on hand. Establish quick exit routes in your home, and know the locations of local animal shelters, pet-friendly hotels and friends who can watch your pets for you. Put together an emergency kit, including pet carriers, canned food, bowls, bottled water, first aid items, garbage bags, and blankets. The ASPCA also has a new shareable infographic and free mobile app dedicated to helping owners prepare for disaster and find lost pets. With natural disasters always threatening to wreak havoc on our lives, we must continue to learn from them and actively prepare for their effects. This is the best way to protect ourselves as well as those whose lives depend on us.